Being a woman is not only time-consuming, but it is also costly to the point that we care to just about every single hair on our bodies. One of the things that lift a woman’s spirit is her eyelashes. I mean, we envy doll lashes the same way most people lust over another woman’s hair or plump lips. Does it need a lift? Yes, it does! Therefore, lash lift aftercare a must. Especially, during the first 24 to 48 hours! 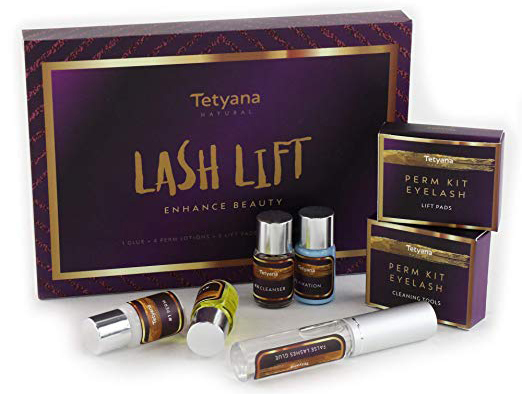 How Long Will Lash Lift Last? How Lash Lift aka Lash Perm Works? What To Expect On A DIY Lash Lift? How Long Exactly Does The Perm Solution Need To Set? ● To Wear Or Not To Wear Eye-Make Up? Are your eyelashes are between a B+ and an A-? Not as bad, but they could be way better? There are many lash-enhancing treatments apart from advanced mascaras, lash curlers, extensions, and serums that offer to ‘beautify’ indecisively directed lashes. If you ain’t lucky to have doll-like, curled lashes perming it is the day lash game to go for. The thought of slathering a chemical-scented lotion on the eyelashes just seemed very scary, but, women nowadays don’t see it as less eventful than other cosmetic procedures. Why? It’s because it gives them the results that they want, dull lashes turned into the perfectly curled formation. On average, it typically lasts two to three months. It depends on how long your lashes fall out and grow back, which gives you the advantage of doing it again as soon as you noticed your lashes are back into its natural shape. It means you have new lashes ready for a perm! Although lash lift is a gentle perming procedure, it is only unsafe if not performed correctly. 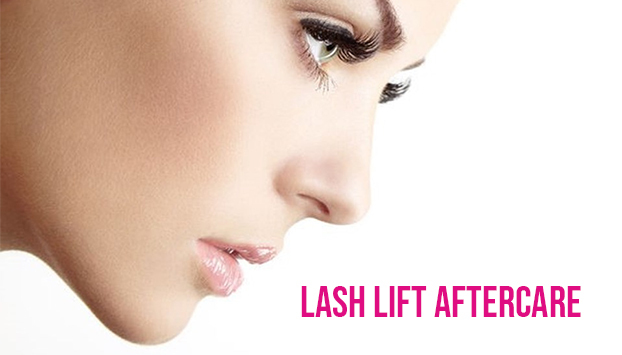 Having it done by a trained lash technician is much better if you do it for the first time. Professional stylists ensure to strengthen your natural eyelash first by deep conditioning it with keratin before applying perming treatment. The lash lift is completed by three chemical solutions. The perming lotion to soften the natural shape of your lash, a setting lotion that gives your lashes the flexibility to curve, and a Keratin solution to nourish and condition your lashes. While you’re lying on your back, a lash technician tapes shut your lower eyelash with an under eye pad. A curling rod made of silicon is glued on the eyelid, right over the lash line. The lash tech determines the best size silicone rod to use depending on how long your lashes are and the ideal curl you want. The lashes are then pulled upwards, following the curved shape of the silicon pad. A Q-tip tool is used with small amounts of adhesive. It’s crucial that your lashes are lined up in the same direction over the silicone and are securely in place onto the rod. It has to set for 15 minutes to make sure it gives the most natural bend. A perming lotion (a.k.a the activator) which help reshape the lashes is applied using a micro brush. It is swiped across the lash line without ever touching the tips of the lashes to avoid potential breakage. It’s essential that it is evenly distributed as it helps make your lashes flexible. A setting lotion follows locking the curl by giving it enough time to marinate. Once the solutions have done their job, the lash technician completes the perm process by cleaning up the perm lotion using a saline solution. A conditioner is also applied to prevent your lashes from getting brittle. Lastly, you have to chill for a bit to let your lashes dry. Okay, so, here’s the focal point of this topic. The fact that it’s a chemical service in a delicate area, your lashes are still flexible for the first one to two days. Meaning, in the first 24 hours after the treatment is critical. Avoiding moisture onto the permed lashes is vital to keep the curl. By that being said, skip the drama flicks on Netflix, some accidental tears, or anything that will jeopardize your lashes. It literally means, do not let anything touch your newly treated lashes. It also includes sleeping on your back and prevent getting your lashes scrunched for the first one to two days. 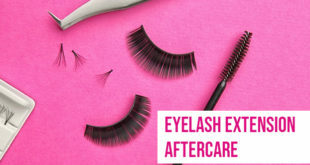 48 HOURS AFTER THE TREATMENT, you can wear mascara. However, since your eyes are still sensitive, it is highly recommended to use an oil-free mascara. 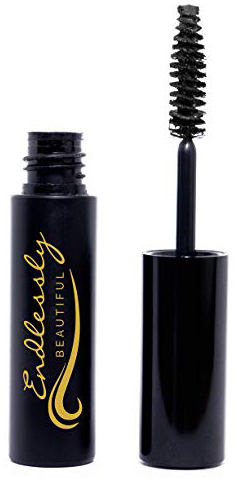 We recommend the 100% Vegan / 85% Organic volumizing mascara by Endlessly Beautiful, it’s a gentle formula that can give your eyelashes a full look. Allergies can appear, it’s always wise to keep this in mind. In case you wear eye makeup, we suggest using AHA and oil-free eye makeup remover as well. 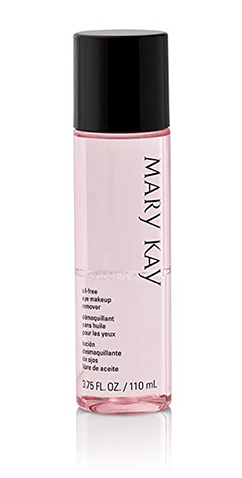 Try Mary Kay Oil-Free Eye Makeup Remover, it is a gentle that has enough strength to remove heavy eye makeup without hurting your eyelids. Stay away from stuff with parabens. If you can’t sleep at night thinking about the gorgeous natural lashes that look like goddamn falsies, and you very much prefer to do rich-girl lashes by yourself, of course, you can! Besides, who doesn’t like a salon lash curler with a home-made cost? You can find many eyelash lift tutorials on YouTube, and the eyelash lift kits include steps on how to do it. Beauty & Personal Care vloggers love two brands which you can get from Amazon. 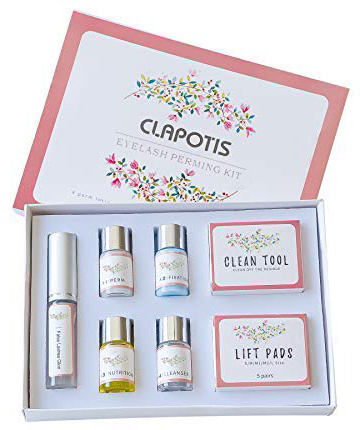 The Eyelash Perm Kit Professional- DIY Eyelash Perming Kit by CLAPOTIS and the Professional Quality Eyelash Perm Kit by Tetyana naturals. The package has excellent reviews from users, and you can use these kits many times! The two brands have 100% money back guarantee in case it doesn’t work for you. The #realtalk about this beauty-related game is you’re about to put chemicals near your eyes. In the name of doll-like lashes, again, why not? It’s a lot easier to curve up those lashes without the daily work. But, you better watch more of YouTube’s recommendations scraping every video related to eyelashes to equip yourself. You, at least, have to practice gluing it to my lid first. Do you quickly get watery-eyed with the wind, change of temperature or the presence of strong stimulants? If you think you do, it’s better to hand it over to a trained stylist and do the do-it-yourself next time. Even those who aren’t eye-sensitive could still feel a little stinging, but it not unbearable. One thing that can make you freak out is how to unglue your lashes from the top of the silicon rod, as well as how to unstuck our eyelid underneath it. You can remove the adhesive or fixing gel by rolling a wet cotton swab between the silicon and your eyelid. You can free your eyelash the same way off the rod. Eyelash perm is not something you should be messing with. One of the risks is potentially over processing it. Some tutorials may seem to make it look simple, but this procedure for mega long and voluminous lashes can also mega hurt. So, make sure you set the alarm, note your times, and make adjustments when needed. Depending on the texture of your lashes, each application of solution may take 10-12 minutes to set. Others take longer, like 15 minutes if you have thick lashes. The entire process can take about 45 minutes depending on your speed. Ideally, it may go around an hour. You can only wear mascara on the second day after the perm treatment. Swiping a few coats is already enough to make a difference. Besides, it already looks so damn gorgeous without wearing a stitch of mascara! Also, swap your oil-based cleanser with micellar water, at least, for the meantime. If you can’t skip the gym and want to give it little extra oomph with zero makeup visibility, use an organic, clear mascara instead. Any chemically treated hair needs conditioning on a regular basis. Your delicate eyelash needs a nourishing essence to help protect and moisturize it after perming treatment. With so many unexpected beauty trends, it’s safe to say that although there have been concerns about lash perm or lash lift, it is gaining much favor as an alternative to eyelash extensions. And aren’t you glad you don’t need the help of a lash curler?